Where flies the airline "Russia"
Since the Russian Federation is the largest country in the world, a convenient way to travel is considered a travel. And the biggest airports of Russia located in the capital - "Domodedovo", "Vnukovo" and "Sheremetyevo". Among them, the clear leader is "Domodedovo". The construction of the airport began in 1956 in the village of Algazina Podolsk region. April 7, 1962 an order was issued on the organization of the Moscow airport "Domodedovo". This date is considered his birthday. A year from the airport started freight and mail flights on an air liner Il-18 and Tu-104. The first passenger flight from the airport took place on 25 March 1964 on the route Moscow — Sverdlovsk. Regular flights began to run only in 1966. Before 1990-ies the terminal was served by trunk routes to the Urals, the Volga region, Siberia, Central Asia and the far East. Airport in 1991, came under the control of a travel company "East Line". And in 1992, thanks to the efforts of Directors of the travel company, "Domodedovo" has acquired the status of international airport. In 1999 was the reconstruction of the entire airport complex, also from 2004 to 2008, was expanded passenger terminals. 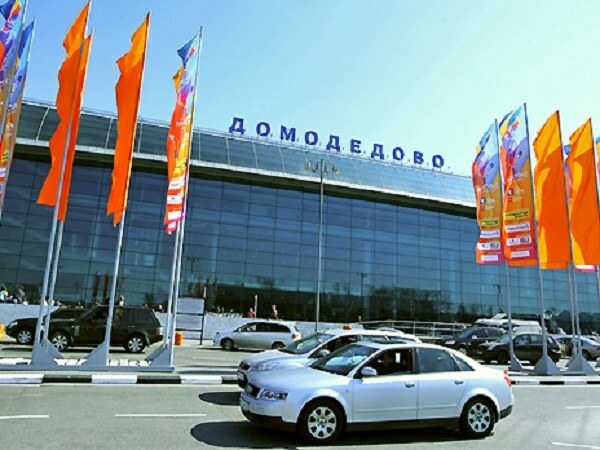 In 2011, Domodedovo was recognized as the best airport in Eastern Europe. The terminal at the end of 2012 is the largest by total passenger traffic in the country, and is also included in the list of the busiest airports in Europe. It is in 22 km from MKAD to the South-East of Moscow city centre. The station complex has a flying field that is formed by two parallel runways, independent from each other. It makes Domodedovo is the only Moscow airport, capable of simultaneously performing in their bands of operation for landing and takeoff. Airport each year, it served approximately 28.2 million passengers. Partners of Domodedovo are 28 of 48 Russian and foreign airlines. "Transaero", "Globus", "Globus", "Muscovy", "VIM airlines" and "S7 Airlines" are based companies of the airport. Flights are operated by 247 destinations worldwide, among which there are unique flight for Moscow aviation hub. "Domodedovo" is able to accept and handle the Airbus A380, the giant passenger traffic. In plans of heads of the airport — construction of new runways, expansion of the territory, improvement of the capacity and the opening of the new terminal building. For the convenience of passengers to the airport and run Shuttle trains without stops, as well as trains, buses and taxis.